This vegan creamy cauliflower soup has flavours of an Indian curry. This spiced soup is thick and hearty– pairs well with crusty bread. It is cauliflower season in India. Winters give us a bountiful harvest of pristine white cauliflowers, plump florets jostling for space with each other. In the summers and rainy season, cauliflowers are not only expensive but also have a weird off odour about them. This automatically keeps me away from making any cauli dishes in summer. I love to cook the seasonal cauliflower to use in a variety of dishes – Alu Gobhi is an all time favourite, so is gobhi paratha stuffed to its gills with spiced grated cauliflower. 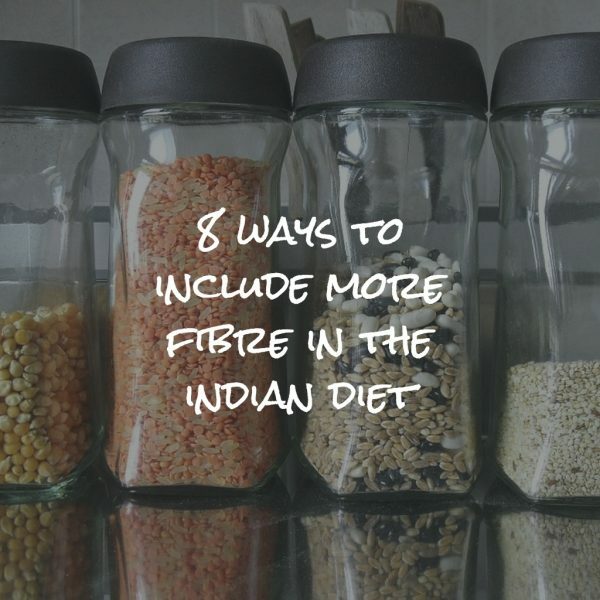 Have you tried a bharta or an Indian style cauliflower mash? Also, winter=soup season! Chilly evenings make you want to hug a steaming hot bowl of soup (or hot chocolate). The very image spells hygge for me. 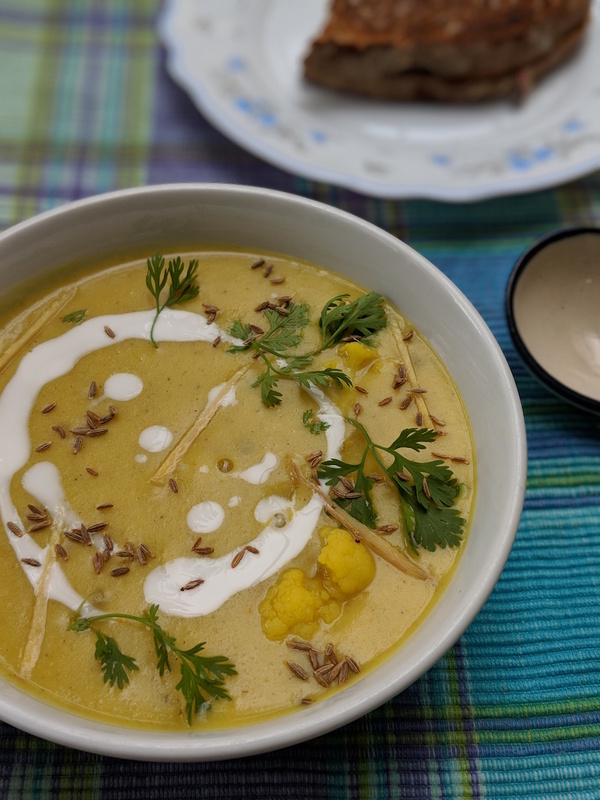 Coming to this bowl of creamy cauliflower soup…this one is a take on mulligatawny soup. Mulligatawny – the word, is an anglicised version of ‘Milagu tanni’ which means pepper water in Tamil. Pepper Rasam is the dish that comes closest to this description of milagu tanni. The cauliflower mulligatawny soup is not watery by any means. Pureed vegetables, lentils and a mix of spice powders make it a thick, creamy and filling soup. Coconut milk rounds off the flavours of the spices beautifully. This creamy cauliflower soup makes for a hearty winter lunch or dinner. 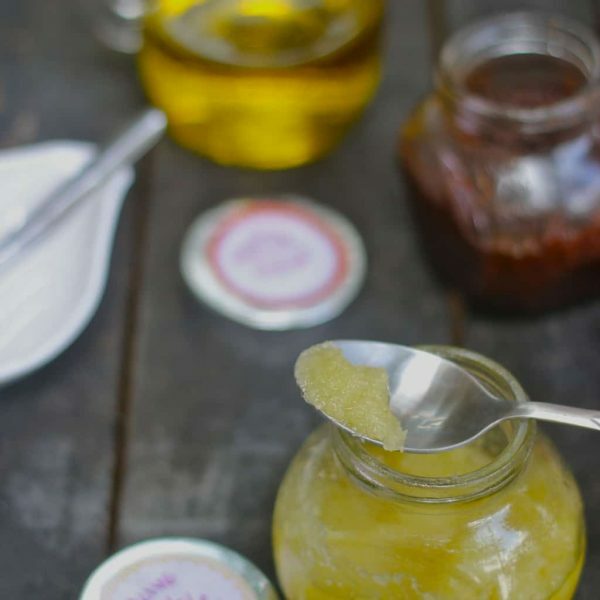 Pair it with a slice of crusty bread, a salad or a grilled sandwich. Learn how to make a simple vegetable stock in the pressure cooker in less than 30 minutes. You can also use a stock cube dissolved in hot water if you like. 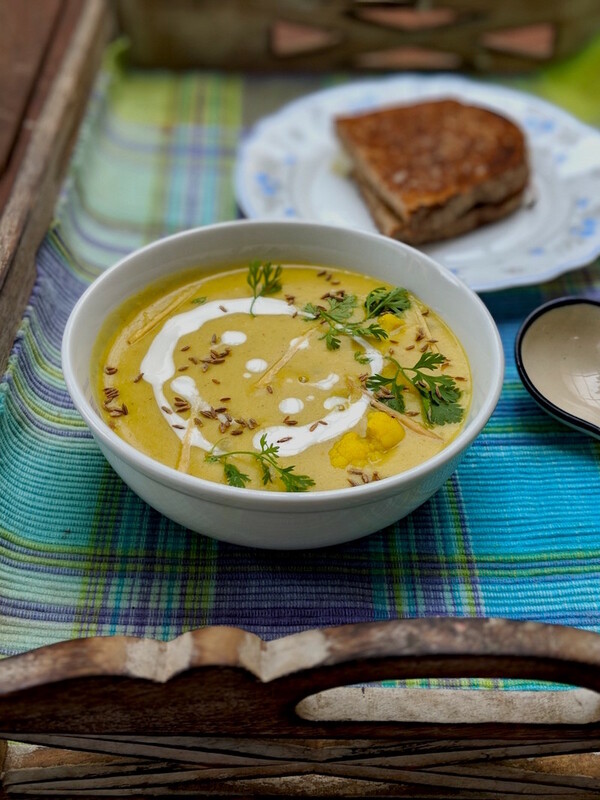 You can also serve this cauliflower mulligatawny soup over cooked grains like millet, brown rice or quinoa (like a dal) along with some crispy roasted sweet potatoes for a hearty meal in a bowl. 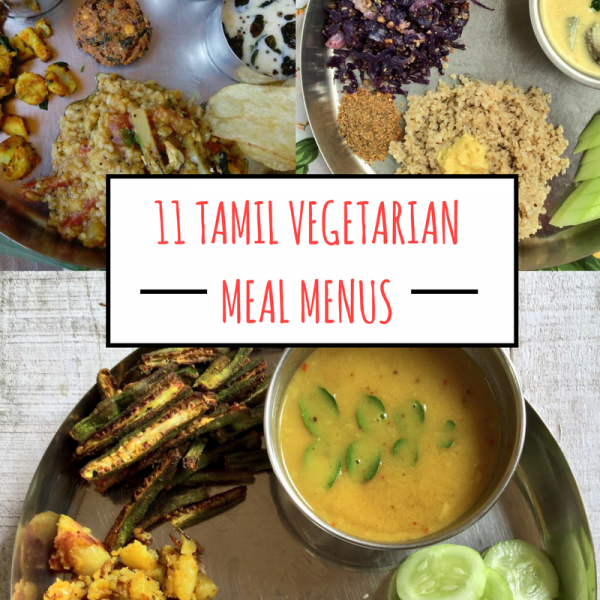 For more such healthy vegetarian recipes, get my book The Everyday Healthy Vegetarian is out! Get all the info about my book and order it here. 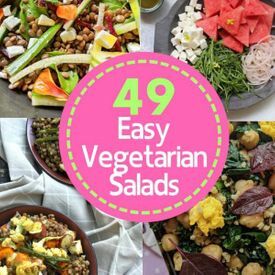 previous post: Announcement: The Everyday Healthy Vegetarian – My first book is out! !